Kelly Ripa Home Pretty Witty in the luna colorway. 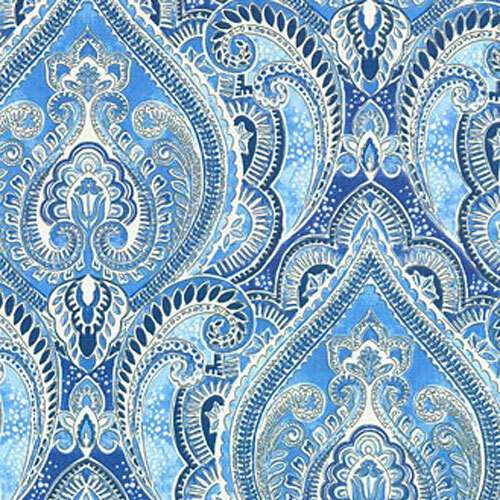 Colorful contemporary paisley\damask design in shades of blue on a white background. Suitable for drapery, decorative pillow covers, headboards, crafting or other home decorating projects.